I have just uploaded a new tab to the YouTube Tabs' page. It is an instrumental adaptation of Wonderwall's vocal melody. The actual TAB was already on screen in one of my YouTube videos, but one of my subscribers asked me for a printable version, and there it is!. And if you need any material to help you getting the most out of my YouTube channel or my website, please don't hesitate to get in touch. Click on the following link and check out one of the latest recordings I have done with my student Alex. 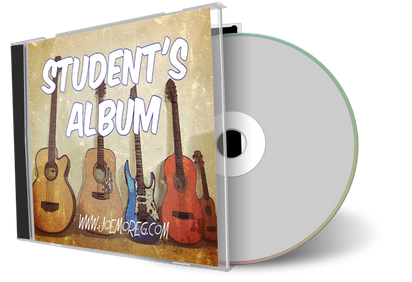 From now on each student has his own page with all the recordings we do, so they can access their personal album more easily, and also share it with friends and family. I have received new testimonials over the last few days, so if you want to find out what other students think of my lessons, please check my Testimonials page. 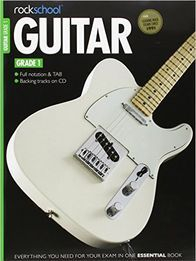 Get your first guitar for free! 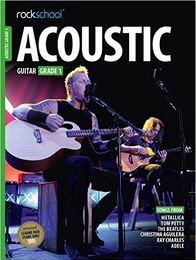 Now you can get your first guitar, classical or acoustic, totally free. 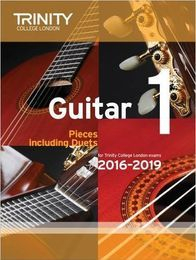 If you book a pack of 12 lessons or more, I will personally find a brand new guitar to suit your needs, at no extra cost. In this picture you can see the guitar I ordered for my student Ahmad, which I will personally deliver to him in our next lesson. Ordering the guitar myself allows me to test it beforehand, and make sure it is perfect for you in terms of quality and playability. Please visit my Offers and Discounts page for more information. If you play the following audio, you'll be able to listen to my student Simon L. singing and playing the song "Chasing Cars" (Snow Patrol). When Simon started the lessons (on the 18th of August 2016), he was a complete beginner, and as you can hear, just three months after, he is able to accompany his singing and also have his first demo. I normally travel to my students' homes, but I can bring my portable recording equipment anytime to record your first demo at no extra cost, as it is included in the lesson pack price. The full audio track will be available very soon at the Student's Recordings section. If you want me to help you with your future career as a performer or songwriter, please get in touch!. This is a sample of one of the backing tracks I have created for Gaby. Gaby has been my student for a while, and he is now focused on writing and recording his first album. I am helping him creating the backing tracks for his songs using a software called Band In A Box , transcribing the music, and also supervising the guitar and voice tracks he will record later on. We will share some of his music here very soon, so stay tuned. 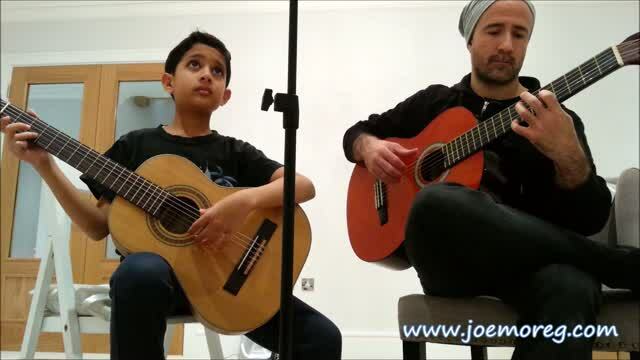 I have just done this video for my student Daniyal, in order to help him with his practice for his Classical Guitar Grade 2 exam with ABRSM. 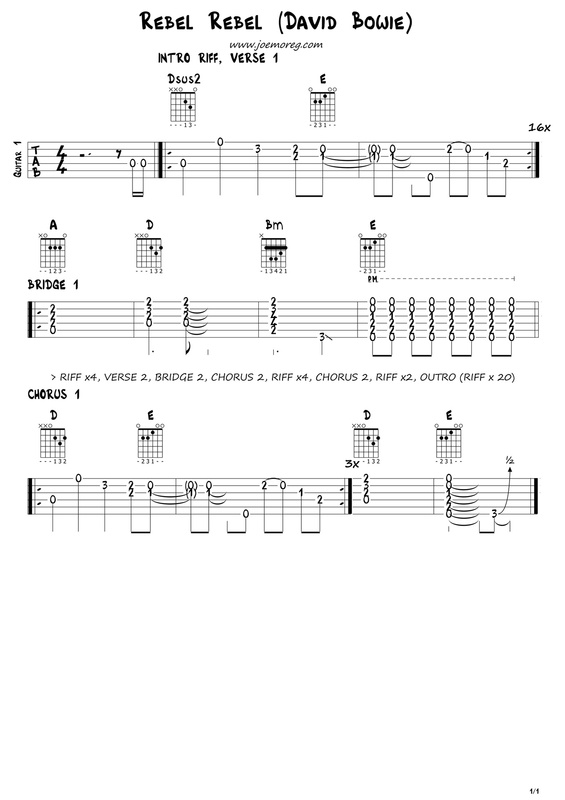 I transcribed all the exercises with Guitar Pro 6, and then I saved the video with Screen-Cast-O-Matic. I thought I could share it with all of you in YouTube, so you can get an idea of what you are expected to play in this section of the Grade 2 Classical Guitar exam with ABRSM. And even if you aren't doing the exam, this scales and arpeggios could be a great good warm-up. I always ask my students to get in touch in case they have any question or problem when they practice, so they don't have to wait until the next lesson to solve it. 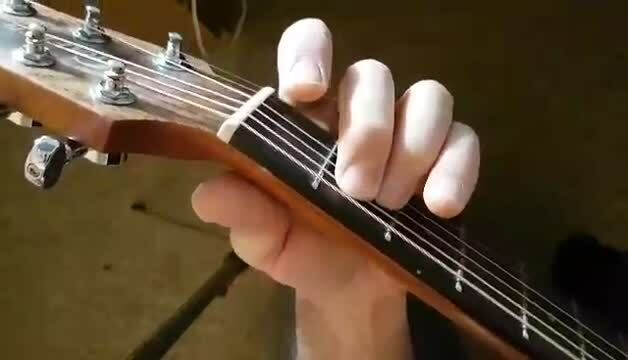 In this example I am sharing with you, my student Simon needed a bit of help with the little arrangement played on the D chord, so I recorded this video focusing on the left hand. Making sure the material I provide in my lessons is clear is very important to me, so I won't let you down from one lesson to another if you need my help. All these videos can be found in the Student's Area, so other students can check what others are learning with me and maybe get new material. The video I recorded with my phone and then sent via WhatsApp. 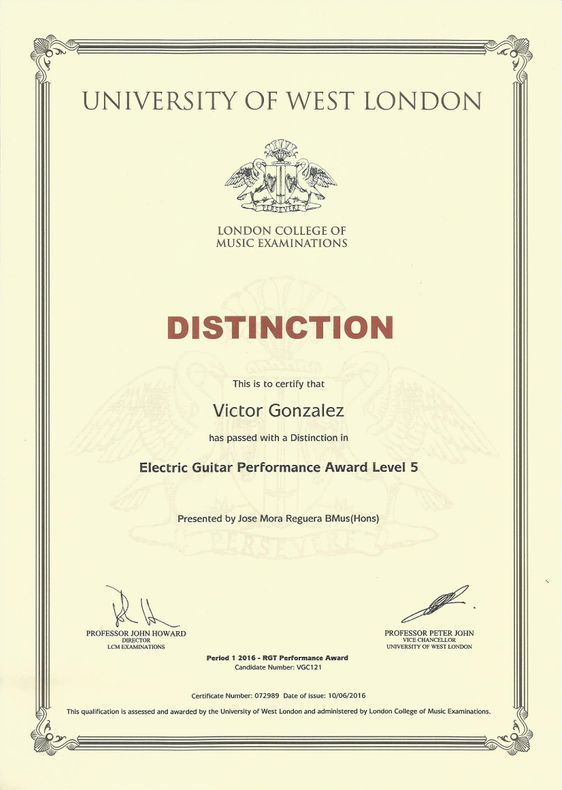 I have just received in the post a certificate for my student Victor González, with the results for his Electric Guitar Performance Award Level 5. Congratulations Victor for your Distinction!. And if you need guidance setting your goals or preparing your guitar exam with a registered tutor, please let me know. 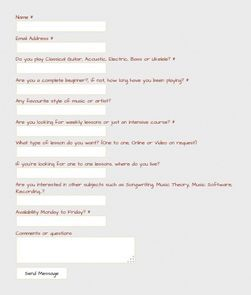 I can also help you if you play bass or ukulele and in case you want to apply for a theory exam. I have created the following map in order to show you the areas where I am currently teaching. As you can see, I mainly teach in South West London, which is where I am based, but I can also travel to other areas depending on your availability. As you can see, I normally travel to my students, so if you want me to add your location on this map, don't hesitate to get in touch!. 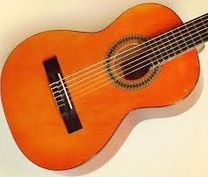 Whether you play classical guitar, acoustic or electric, with your fingers or with the plectrum, and whether you are a beginner, intermediate or advance player, there is definitely an exam for you. 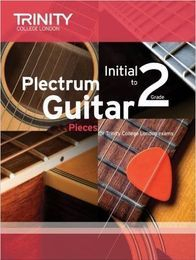 These pictures are just a selection of the books I normally use in my lessons, with those students who are interested in taking a guitar exam. If that is your case, I can give you advice on choosing the right exam, and I can definitely help you to achieve great results. Several of my students have done this exams over the last few months, and they all have obtained Merit or Distinction. In fact I have done some of these exams myself, so I could learn firsthand about the whole process and share it with you. I will help you with the whole process: applying for the exam, selecting and preparing all the required material and succeeding. Please get in touch if you have any question. A few weeks ago my student Simon requested to learn "Rebel Rebel", one of David Bowie's hits, which I have never played before. It's a great tune to play on the guitar, and it's not too difficult. In fact, after teaching this classic to Simon, I have suggested this song to other students, and they have all enjoyed it very much. Here is my transcription of it, just in case you want to learn this great tune, and also pay tribute to one of the greatest talents in popular music. Click on the transcription and press "Cltr" and "+" several times for full screen (press "Ctrl" and "-" to go back to the previous settings. 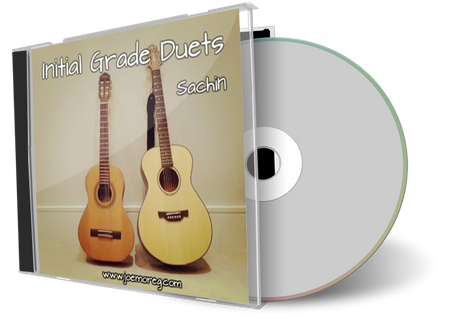 Over the last few weeks, my student Sachin and myself have been practicing and recording all the classical guitar duets on the Trinity College book (Initial Grade), and we can now share the result with all of you. We decided to record all the pieces live, instead of track by track, using my portable recording device, Micro BR 80 (Boss). My commitment as a tutor, apart from teaching you how to play your instrument, is also to help you find a goal or a project to work towards. Here is a video I recorded last Friday in a lesson I had with my student Sachin. 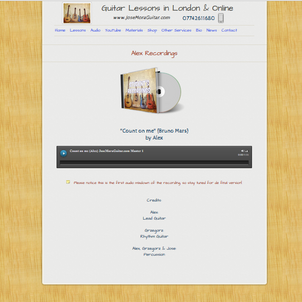 We have been practicing lately all the Initial Grade duets, from the Trinity Guildhall book collection, and we are also recording a demo with all of them using a portable recording device I use in my lessons. We hope to share it with you very soon. I have just added a new testimonial to my Testimonials' page from one of my online students. His name is Adam, and he is from Finland, and thanks to the magic of the Internet I am able to be his private guitar tutor. 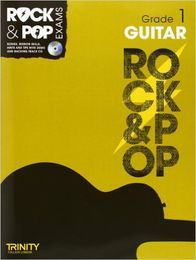 If you need guidance learning the guitar, bass or ukelele, don't hesitate to contact me, wherever you are. This is the latest video I have uploaded to YouTube, with an instrumental adaptation of "Wonderwall", the great song by Oasis. 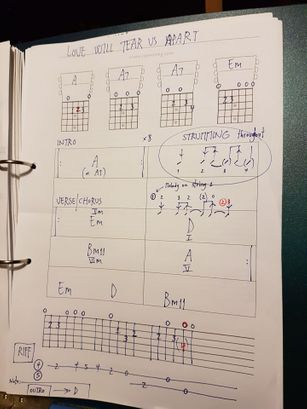 I did this transcription for one of my students a couple of days ago using Guitar Pro 6, and I thought I would share it with all of you using the screencast software provided at screencast-o-matic.com. 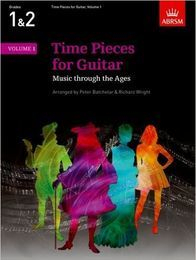 If you are an intermediate or advanced guitar player, this could be fun!. I have been preparing several of my students for the Classical Exams organized by the Trinity College, and I thought it would be a good idea to do the exams myself too. Although I have a Bachelor Honors Degree in Classical Guitar, this is a good way for me to know more about the British graded exams system. Below you can see my two certificates for Grade 1 and 2, and in a few weeks I will attending my Grade 3 exam. I am currently recording an album with all my students, with a selection of the music we are learning and playing in the lessons. As soon as it is finished, I will upload it to the Student's Recordings section. Below this text you can listen to one of the first songs we have recorded, The Drunken Sailor (Traditional English); my student Julia plays the lead melody, and I recorded the accompaniment. Stay tuned for the rest of the album!. These are just some of the new videos I have uploaded recently to my YouTube channel. If you want to see more videos, please visit my YouTube channel and don't forget to subscribe!. I have just uploaded two new recordings that I have done with my students lately. You will find them in the Student's Recordings section. The first one is Daniyal's own composition, and you can also listen to Oliver playing a cover of "Sunshine of your love" (Cream). Click on this image to design your course. I have created a new section which will allow you to design a course to suit your needs. It is basically a contact form, with all the information I need to organize the lessons with new students. After I receive the form, I will contact you straight away to confirm the day and time to start. The information you provide will help me to adapt the material and the contents of my lessons to your needs and preferences. I look forward to hear from you soon!. 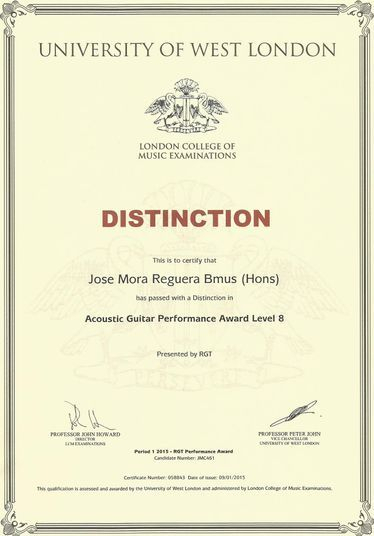 A few days ago I got the result for my Acoustic Guitar Performance Award Level 8, which I did through the Registry of Guitar Tutors and London College of Music Examinations. Doing this exams is good for me, both for the musical challenge, and also to get to know the graded exams in the UK. 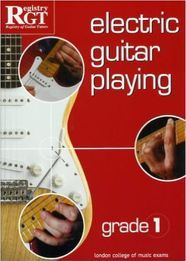 I have already done Ukelele and Acoustic Guitar, and at the moment I am preparing the Grade 8 for Bass. Graded exams are a great option for students, in order to measure their achievements, and also to have a goal with the instrument. If you need any help preparing these exams, please get in touch. In this video you can see me playing one of the pieces I played in my exam. And here is another recording by another student; this time by Oliver. It's cover of "Sunshine of your love" (Cream). I normally travel to him for the lessons, and this time I brought my portable recording studio with me, so he was able to record all the guitar parts. After that, I did the programming of the drums and bass, and also recorded the lead vocals. We hope you like the result!. Here is the last recording I have done with my student Victor in my portable studio. First of all, I created a backing track based on a chord progression he wrote, and then he has been recording the lead guitar, combining melodies he has composed and also improvisations. With this song, we've been applying some of the contents from the lessons: how to create a chord progression, how to find the right scale for a particular chord or chord sequence and how to create an arrangement. It is still a work in progress, but I thought I would share it with all of you here. If you plan to play in a band or you want to create your own music, you will be soon recording a demo. So having this experience as part of the lessons, will give you the basic knowledge you need and more confidence. It is also great for beginners so they can keep a record of their improvements. Please get in touch if you want to know more about my lessons, and also in case you want to book a recording session. 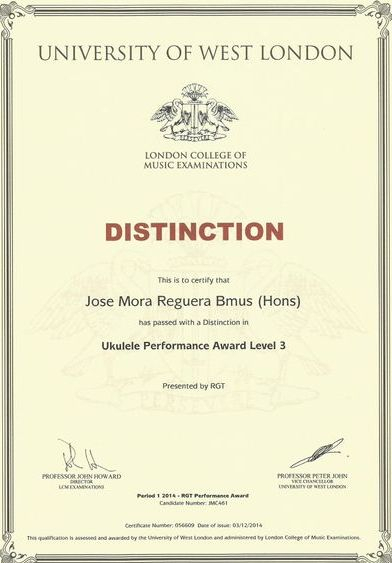 I recently did my Ukelele exam, and I got the results and my diploma a few days ago. 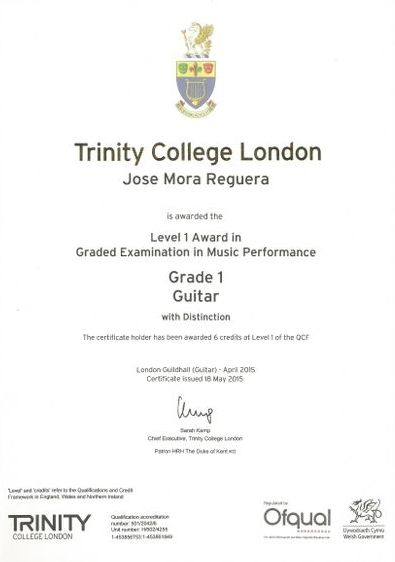 I did a Registry of Guitar Tutors Performance Award, and I got 99,5 out of 100, so I am very pleased. I did Grade 3, which is the highest exam available at the moment. If you want to learn how to play this fun instrument, please get in touch. The following video is the last episode of my Video Blog about my lessons, where I talk about this exam. 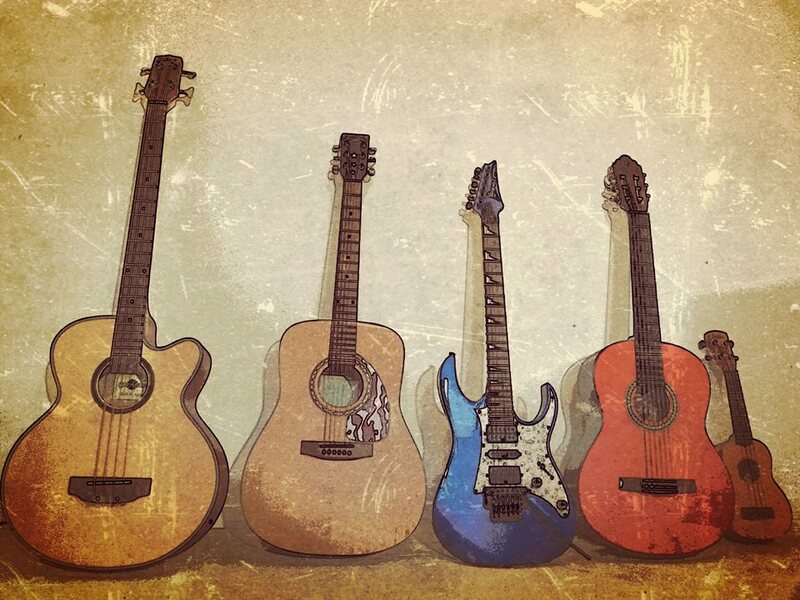 This Christmas you can give a great gift to one of your friends or relatives: Guitar Lessons!. And I am also available for Bass and Ukelele lessons. Please get in touch, and I will send you a personalized voucher. From now on I am also available to teach you how to play the Ukelele, and if you book 4 lessons or more, you can get a brand new ukelele for free!. For more information please visit the Offers & Discounts section. I have created a new section in my website with offers and discounts for my current and former students. I have started a new Video Blog section in my YouTube channel, to share some of the contents of the my private lessons in London. I will try to show you interesting bits and pieces from my lessons, so you can learn something new, and also get an idea of my teaching style. I have uploaded a new backing track for those of you interested in practicing your improvisation. It's a rock backing track inspired in the song "Light my fire", by The Doors, and it's great for practicing the A Dorian Scale, and also the A Minor Pentatonic Scale among others. Click here to check the Backing Tracks section. 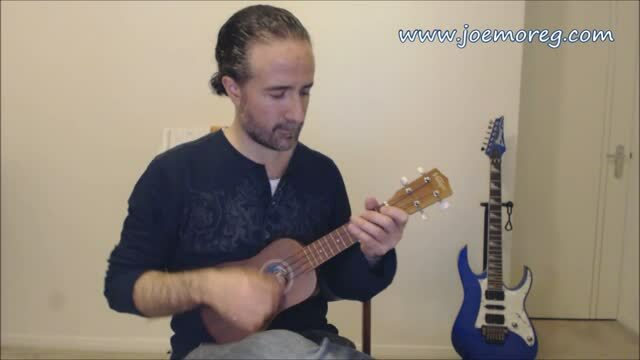 In the following video you can see me improvising with this very same backing track. 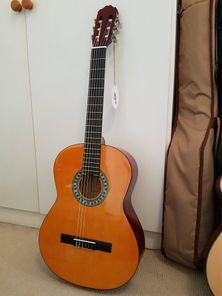 In this video I'm playing a Valencia guitar, model CG150, which I've purchased at Ritz Music Putney in London. This guitar costs 69,95 Pounds, but I'm going to give it away to the first person booking 8 of my guitar lessons. 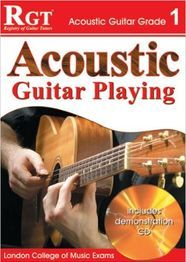 I normally charge 30 Pounds for one hour lesson, so for 240 Pounds, you get a full guitar course (8 one hour lessons) and a guitar. If you leave near Putney (London,UK), or at a reasonable distance, please get in touch!. Please go to the Playlists section, and it'll be easier to find videos that may interest you. And feel free to join my 1.282 subscribers!. This audio track is a compilation of the latest recordings I've done with my students in Alicante, before moving to London. I'll soon upload each full track to the Student's Recordings section.